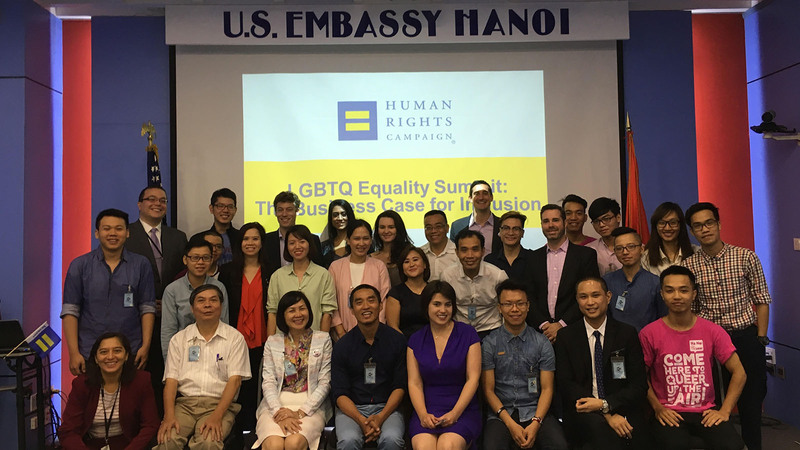 Last week, in partnership with the U.S. Embassy in Hanoi, Vietnam, HRC hosted a global equality summit in Vietnam. The summit brought together corporate allies, civil society leaders and local diplomatic community members to advance local efforts on LGBTQ workplace inclusion and business engagement. U.S. Ambassador to Vietnam Ted Osius welcomed the attendees during a reception at his residence. He stressed the importance of shared learning and highlighted the opportunity for collaboration between the private sector and LGBTQ civil society in the U.S. and Vietnam. Ambassador Osius is one of seven openly gay U.S. ambassadors currently serving overseas. Ahead of President Obama’s recent trip to Vietnam, PBS Newshour highlighted Osius’s family and work as ambassador. At the summit, representatives from multinational corporations including Disney, Cargill, Citibank, KPMG and Baker McKenzie learned about current LGBTQ community initiatives in Vietnam, shared their commitment to diversity and inclusion and discussed future collaboration. 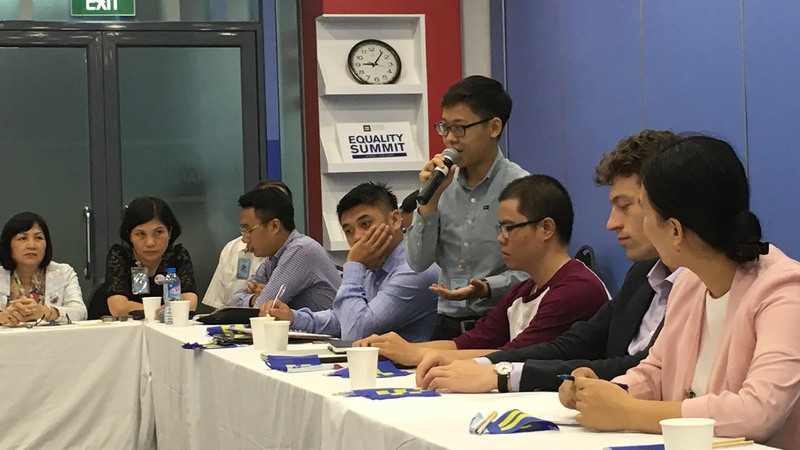 As part of the summit, HRC hosted a civil society workshop that included leaders from ICS, iSee, Viet Pride, Hanoi Queer, 6+, NexGen and PFLAG. The participants discussed models for advancing LGBTQ workplace inclusion, including HRC’s Corporate Equality Index (CEI), and shared information on ongoing Vietnamese efforts like Viet Pride’s Equal Office and Hanoi Queer’s Queer Zone. Nguyen Thanh Tam of Viet Pride, whom HRC recognized as a Global Innovator earlier in the year at our inaugural Global Innovative Advocacy Summit, was in attendance. The summit and workshop were co-facilitated by Ty Cobb, Jason Bricker, HRC’s director of corporate relations, and Deena Fidas, HRC’s director of workplace equality. At the conclusion of the summit, the U.S. embassy announced a new grant to support local civil society efforts to strengthen engagement between the LGBTQ community and business. HRC has offered to provide technical assistance and additional capacity building to support the grant recipient. The equality summit in Hanoi built upon global business engagement efforts launched by HRC last year with the announcement of its Global Business Coalition. These efforts have grown to include the first international launch of the CEI in Mexico City last November, an HRC-led CEO roundtable hosted by Vice President Biden in Davos, Switzerland during the World Economic Forum’s annual meeting in January and leadership at two LGBTQ workplace equality convenings in Mexico City and Hyderabad, India in the last month.